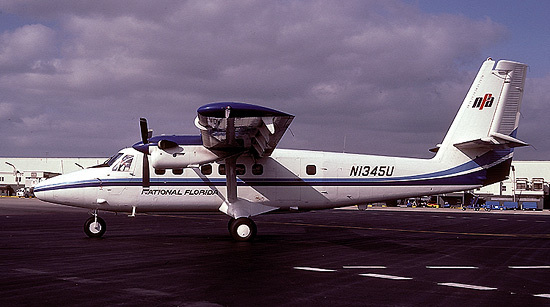 From 1981 to 1983, National Florida operated de Havilland Twin Otters, Piper Navajos, and a Swearingen Metroliner on routes that connected a half dozen Florida cities. Twin Otter N1345U (msn 778) at the gate in Miami. 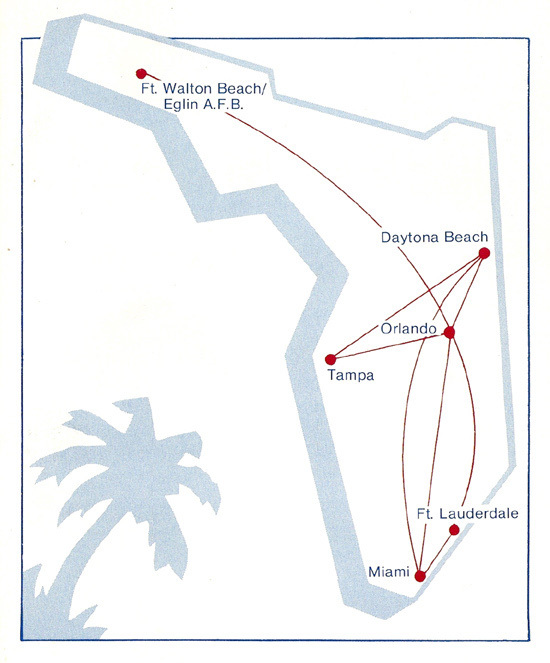 National Florida Airlines route map from June 15, 1983.